Discolored teeth are not just a cosmetic concern - studies show that people who have confidence in their smile lead generally healthier lives. Whitening removes natural stains and discolorations on teeth for a brighter, healthier smile. There are many different whitening options available including in-office laser treatments and custom-fitted whitening trays for use at home. Schedule a consultation with Dr. Bennett to determine which treatment is right for you. Another option for teeth whitening is take-home whitening trays. Your dentist in Frankfort IL will fit you with custom-made whitening trays fit over your teeth. The trays can be filled with a special gel solution to gradually reduce the appearance of stains and discoloration on your teeth. With this at-home kit, you control how often you use the product and how white you want your teeth. You will begin to see results in just 3 days, but can continue to use the trays for future touch-ups and whitening maintenance. Ask your dentist at Aesthetic Dentistry of Frankfort about how you can take home your very own whitening trays! Zoom whitening is an in-office treatment that uses a light-activated gel to reduce the appearance of stains and discoloration on your teeth. Zoom is the only in-office whitening system that has a variable-intensity setting on the activation light so that your dentist can customize the treatment to your specific needs. It is the perfect product for a quick whitening fix, allowing you to touch up the appearance of your smile for weddings, reunions, and photo shoots on short notice. During the procedure, your dentist will place a hydrogen peroxide gel on your teeth and then shine a blue light on your teeth to activate the bleaching agent. The Zoom system includes desensitizers to help protect your enamel and minimize teeth sensitivity. You will see visibly whiter teeth in just one visit! In-office whitening treatments are superior to over-the-counter methods because your dentist is qualified to administer higher concentrations of hydrogen peroxide for more efficient whitening tailored to your specific situation. See the difference whitening can make in both the appearance of your teeth and your confidence in smiling! 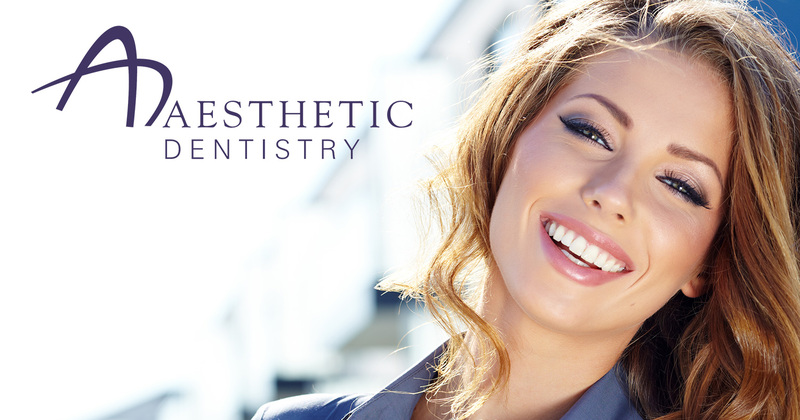 Call Aesthetic Dentistry of Frankfort to schedule your consultation today.